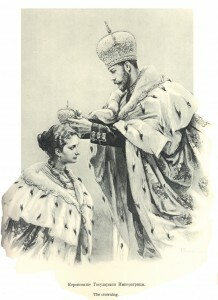 The crowning of Nicholas II and Alexandra as the last Tsar and Tsarina of Russia in 1896. The André and Catherine de Saint-Rat Collection of Russian History, Literature and Art is a unique grouping of books, objects, pamphlets, manuscripts, and art themed around the Russian Silver Age period and focuses on several prominent artists, as well as the political situation shortly after the 1917 revolution. The collection includes a vast number of materials dealing with such diverse topics as the Russian Imperial family, military history, folktale, fin-de-siècle literature and art, children’s literature, transportation, and politics. It includes scarce and rare military histories, works of the artist Annenkov, and books from the libraries of Nicholas II and Alexandra. This is Mr. and Mrs. de Saint-Rat’s personal collection purchased from their estate. André de Saint-Rat came to Miami University in 1951 to teach Russian language and Russian history, but his real passion and expertise were in collecting rare materials. Through his work with Russian émigrés in Paris he was given and purchased many treasures. However, the collection is far from a gathering of unrelated and random rare items. It was built through Professor de Saint-Rat’s connections and knowledge. It is an outstanding research collection that has been sought for exhibition by the Los Angeles County Museum and the Hirshhorn Museum of the Smithsonian. Some items, while not very rare, contain important marginalia or are related to more unique items in the collection. The strength of the collection is not in the number of rare items, but in how well everything fits together. Each historical or artistic event is represented by a number of items in different formats that give a researcher a wide range of reactions from the official Bolshevik perspective to the reaction of the émigré community. A complete list of items in this collection can be browsed in the catalog by entering “André and Catherine de Saint-Rat collection” into the title search. The larger Russian collection, often referred to as The de Saint-Rat Collection, as well, has been developed, with Mr. de Saint-Rat’s help, over the period of many years. This collection has a wider scope and covers the history of the Russian Imperial family, military history, folktales, fin-de siècle literature and art, children’s literature, transportation, politics, avant-garde art, and others. 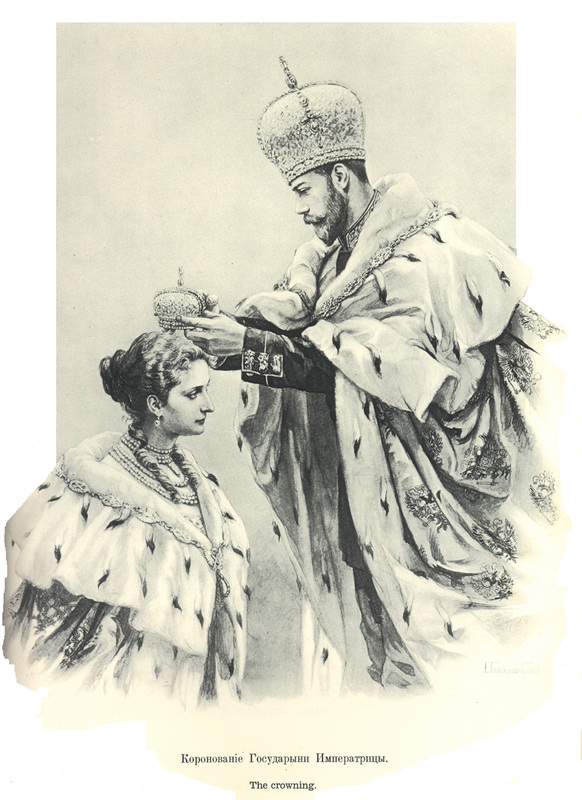 There are remarkable gems in it, such as items from the library of Tsar Nicholas II and the only known surviving copy of a portfolio of political portraits by IUrii Annenkov, which used to be his personal copy. Read the Revolutionary Tribunal by Sergei Vii online.